In this 2-hour walking tour, we're bringing the history of this property alive through incredible stories that are subtly hidden in plain sight. We're discovering the old school Flamingo including the legendary names and memories that made it what it is today. The saga of the Flamingo is romantic, beautiful, chaotic, and rich. Meeting at Bird Bar, the story begins. The property's history is deep entrenched with meaning and beautiful women. We wrap-up the tour by walking through the beautiful pool areas and Flamingo habitat on the outdoor portion of this legendary property. 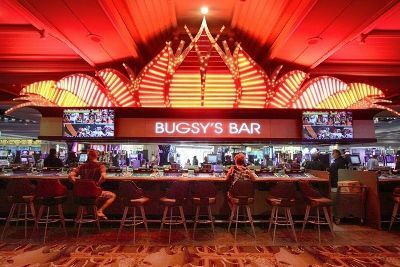 You'll even get a chance to visit the exact spot of where the original lobby was located and the memorial to Bugsy himself. Guests will leave informed and in high-spirits, with a heightened knowledge of the Flamingo's storied history.